This cup was probably used for caudle, a spiced alcohol-and-gruel concoction, more or less liquid according to the recipe followed, which was usually served to invalids and to women before and after childbirth. The cup has two cast S-scroll handles. The lower part is chased with alternate spiral fluting (concave) and gadrooning (convex). 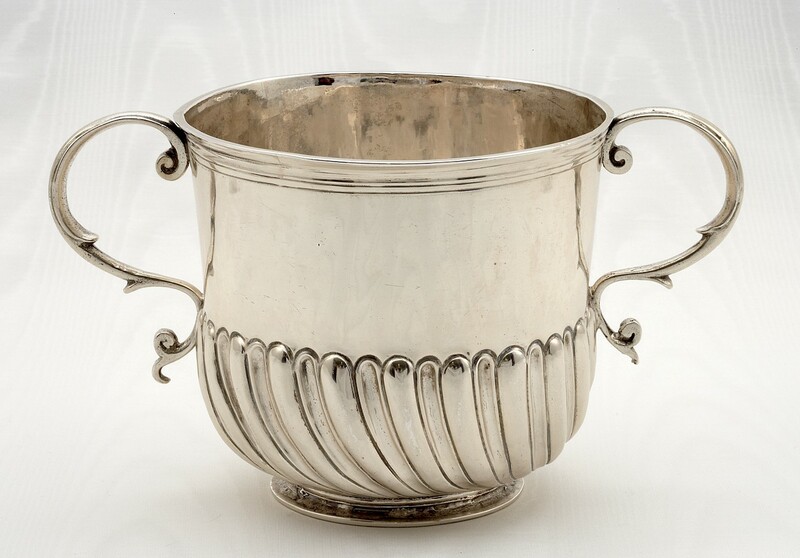 Cups of this type were made in large numbers by London goldsmiths between the 1690s and 1720s. The Chester goldsmith Thomas Robinson used it to create one of the most aesthetically satisfying pieces of 17th century Chester silver.